Watch this video below of JB Roofing Inc. installing composite slate tiles roof. Illinois Slate Tile Roof in Woodstock – Where is the slate roof tile material coming from? Slate is mined all over the world, including US. 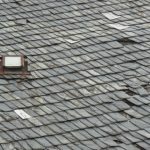 Not an easy task because it often involves very deep excavation and requires skilled workers to manufacture the final product ” roof slate tile. Illinois Slate Tile Roof in Woodstock – What slate tile colors are available? There are five basic colors of slate: black, red, gray, purple, and green. However, the most common are gray, blue-gray, black, shades of green, deep purple, brick red, and mottled (mixed) colors. Over time / after the installation, and depending on the slate quality / type, its color might change significantly and fast or slowly, which may not even be noticeable. 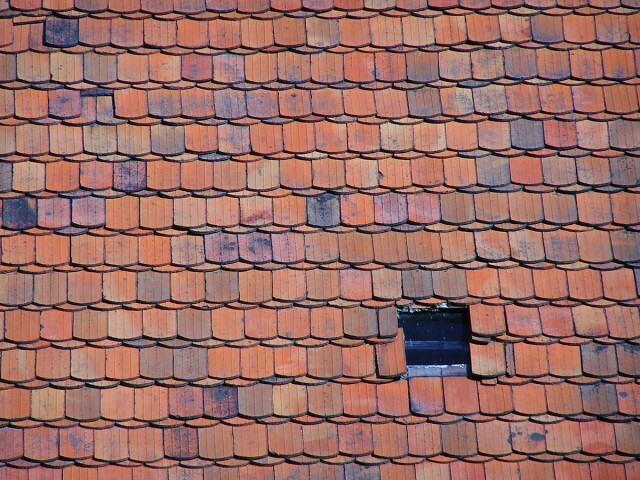 Just like any of the roof types, this one too requires periodical inspections and maintenance if necessary. Once a year visual inspection should be sufficient, unless there are some emergencies. 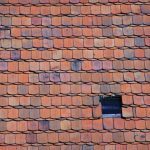 Use binoculars if possible or hire a professional to do it for you, any loose or damaged tiles should be replaced immediately by an experienced roofer to prevent leakage. It is 100% natural, so disposing of it can cause no harm to our environment. Because of its weight (approximately 800 ” 1000 pounds per square of the roof surface for standard thickness, 1500 pounds for 3/8” thick / square ” 10’ x 10’), slate roofs are much more wind resistant than asphalt shingles and other lightweight roofing materials. 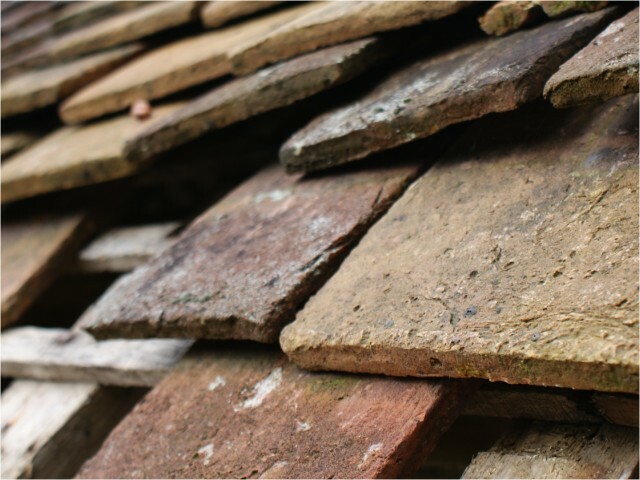 Since slate introduction as a roofing material some 5 centuries ago, its installation procedure hasn’t change much. That means that slate tile installation has been perfected to the point, that if performed by a professional it will provide long-term reliability, and a leak free performance. Slate roof tile is fireproof, but if the fire starts inside your home and travels into the attic consuming parts of the supporting framing on its way… the fire resistance feature benefits are rather non existing… maybe for your neighborhood. Ideal support for a heavy slate roof would be 2”x12” rafters spaced every 16” with ¾” tongue and grove decking. Pre-manufactured structure should also have 16” spacing, trusses built to support slate with at least 5/8” or ¾” plywood decking. Roof structure flexibility is not desirable and would result in poor installation, performance problems within short period of time. 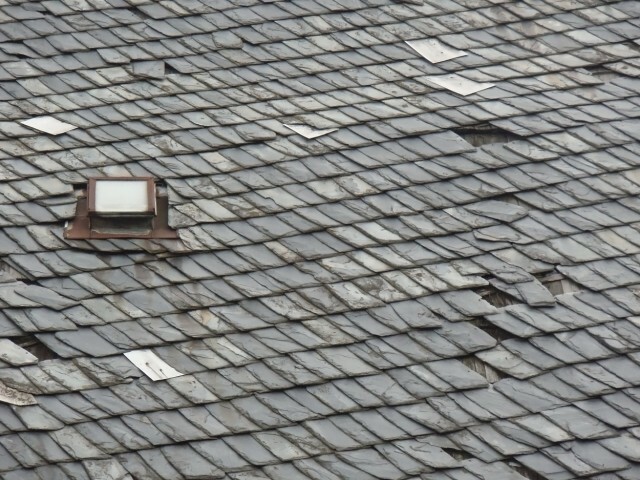 Slate tile installations should not be performed on roofs with a pitch lower than 4/12 (4/12 and 5/12 pitched roofs require double felt underlayment), but some jurisdictions may have higher restrictions. Illinois Slate Tile Roof in Woodstock best part ” how much does a slate roof installation cost? roof design / shape ” complicated designs require more cuts / waste, flashings, etc. and a few other things that may or may not affect your bank account damage. 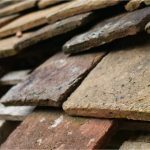 Taking all of the above into consideration you can expect to pay between $10.00 – $40.00 per square foot of the installed slate tile roof in Woodstock. If Illinois slate tile roof in Woodstock is something you’ve been looking for, let us know – your Illinois roofing contractor.